Well, I must say I just love Kevin Kwan's writing. Not only does he take you right to the scene, his writing is epic. 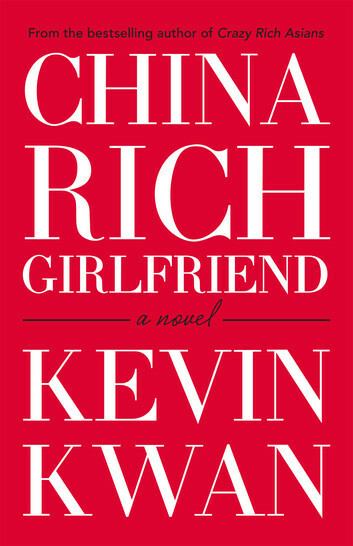 This is the second book in a trilogy that started with 'Crazy Rich Asians'. He continues the story of Rachael and Nick. And the twists and turns that come with marrying into a mega-rich Singaporean Chinese family. My favourite thing about this book (aside from Kwan's exceptional writing), is that he introduces brands, ideas and concepts that are so far from everyday reality that the mind just boggles. He also delves more into the world of Astrid Leong and Charlie Wu. The WUthering Towers in Hong Kong (and no WUthering towers isn't a spelling error!) and the world it encapsulates expands one's understanding of this other parallel universe. Kwan has now introduced me to a few new places I'll just have to go visit next time I'm in Hong Kong, Singapore, England or elsewhere! Those jet-setting hipsters seem to go everywhere in this book. I was pleased to see that at the end of the book that Kwan has finally got a deal to make this into a movie. I will be first into the theatre to see it. If you loved Crazy Rich Asians and are into heady romance with a little bit of bling this book is for you. I'm lining up already to get the third book of the Trilogy.